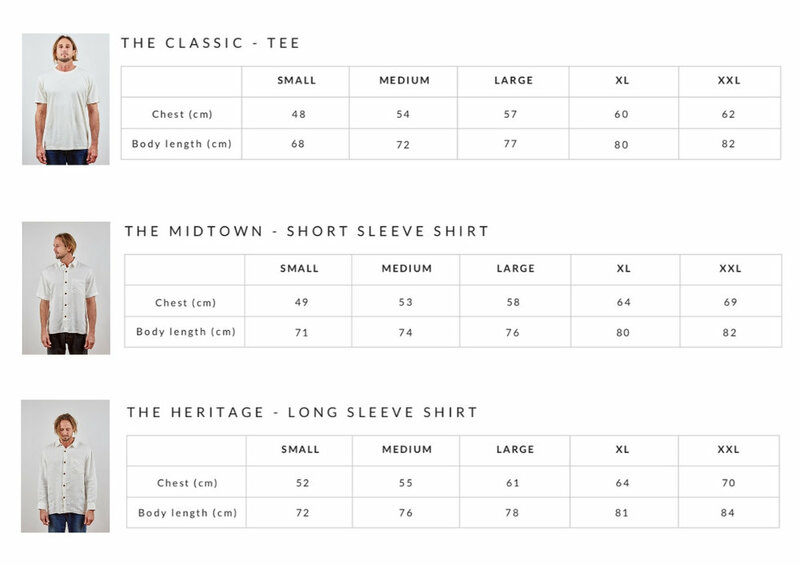 Please note that our sizing charts are for guidance only. Measurements listed below reflect garment measurements. Chest (under-arm to under-arm) and body length (side neck to bottom hem).